For more information about "Be the Change" and other CANDLES programs, please call 812.234.7881 or email programs@candlesholocaustmuseum.org. Mark Hancock was one of the original students in Ron Jones’s class when Jones undertook “The Wave” experiment. 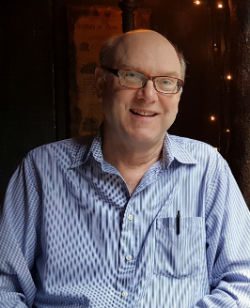 Self-described as a “wannabe resistor turned bystander,” and as the associate producer of “Lesson Plan” and the Wave’s class historian, Mark offers a unique insight into the experiment from the perspective of one who was swept into the fray as Jones’s class embraced The Wave. After retiring from a career in architecture, he decided to put his experiences in the experiment to work. Mark has presented on The Wave at the United Nations, U.S. State Department, and the Holocaust and Humanity Center in Cincinnati, Ohio. He has also been featured on the German History Channel documentary Total Control. Mark continues to speak on the experience in Jones’s class and the lessons of The Wave in order to facilitate discussions about charismatic leaders, group dynamics, bullying, and gangs in the hopes of generating more positive outcomes. The Third Wave (or The Wave) was an experimental social movement created by California high school history teacher Ron Jones in 1967 to explain how the German population could accept the actions of the Nazi regime during the Second World War. Admission is free and open to the public. This event is made possible in part by the Florence and Laurence Spungen Family Foundation. Dr. Miriam Klein Kassenoff is a child survivor of the Holocaust. She fled Nazi Europe with her family in 1941. 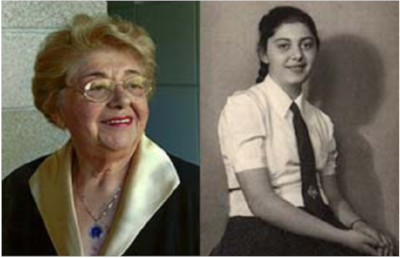 She will speak about her family’s escape from Nazi-occupied Europe, her life since, and what she has done as an educator to ensure the Holocaust is never forgotten. Dr. Klein Kassenoff has studied at Yad Vashem and is a graduate of the prestigious Vladka Meed Teacher’s Program. 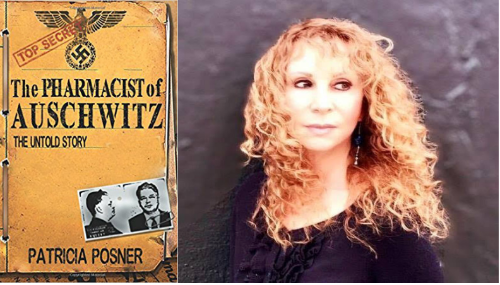 She is the Director of the Holocaust Teachers Institute at the University of Miami where she also serves as an adjunct professor/lecturer, as well as the Education Specialist for Holocaust Studies for Miami-Dade County Public School. Dr. Klein Kassenoff is a frequent speaker on Holocaust education nationwide and co-authored Studying the Holocaust Through Film and Literature. 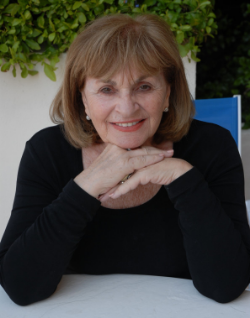 Dr. Klein Kassenoff is the founder of the “Screening the Holocaust” film series in Miami. She has been awarded Professional Educator of the Year by the Miami-Dade Social Studies Organization, the Tikkun Olam Award from the Haitian Holocaust Refugee Project, and was given a special tribute by the Florida House of Representatives for her work on behalf of the Jewish community of Florida. Admission is free and open to the public. For more information about this and other "Be the Change" events, call 812.234.7881 or email programs@candlesholocaustmuseum.org. In the late 1980s and early 1990s, Arno Michaelis was a leader of a worldwide racist skinhead organization, a reverend of a self-declared Racial Holy War, and lead singer of the hate-metal band Centurion, which sold 20,000 CDs by the mid-nineties and is still popular with racists today. Single parenthood, love for his daughter, and the forgiveness shown by people he once hated all helped to turn Arno’s life around, bringing him to embrace diversity and practice gratitude for all life. 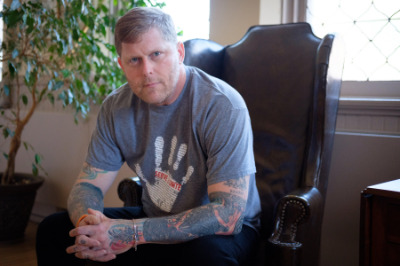 After spending over a decade as a successful information technology consultant and entrepreneur, Arno is now a speaker, author of My Life After Hate, co-author of The Gift of Our Wounds, and very fortunate to be able to share his ongoing process of character development as an educator working with Serve 2 Unite. Admission is free and open to the public. Books will be available for purchase at the event. This event is made possible in part by the Florence and Laurence Spungen Family Foundation. Through intimate interviews and live performances, They Played for Their Lives artfully portrays how music saved the lives of young musicians during WWII. The documentary follows the personal narratives of eight survivors who describe how music in the ghettos and concentration camps not only fostered spiritual strength within themselves and others, but often proved a bargaining tool that spared their lives. 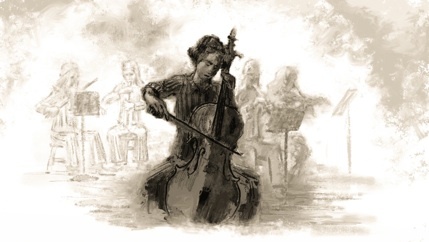 Each of these unique stories illustrates the power of music to sustain the human soul. Following the film, featured musician, Holocaust survivor, and Indiana resident Frank Grunwald will answer questions and play his accordion. Just 10 days after the attacks on September 11, 2001, Rais Bhuiyan was working at a gas station in Dallas, Texas, when he was shot in the face by a man named Mark Stroman. Stroman was on a shooting spree, targeting people who appeared to be Muslim or of Middle Eastern descent. Bhuiyan, the only survivor of the attacks, looked to his faith to find and offer forgiveness to his attacker, who was sentenced to death. Through forgiveness, Bhuiyan befriended Stroman and attempted, unsuccessfully, to prevent his execution. 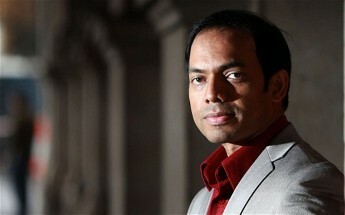 Rais Bhuiyan shares his experiences through his organization World Without Hate, which is dedicated to eradicating ignorance, hate, and violence by educating people about the transformational power of mercy and forgiveness. His organization is striving to create a more just and accepting world by building bridges and fostering healthy human growth through compassion, empathy, and understanding. 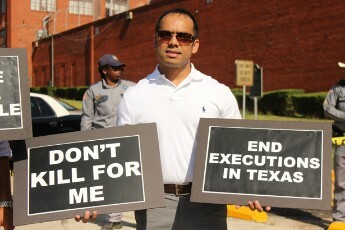 Bhuiyan will share his story of empowerment and forgiveness with a presentation followed by a book signing of his book, "The True American: Murder & Mercy in Texas," which will be available for purchase at the event. Admission is free and open to the public. No pre-registration is required. Capturing history was Jonathan’s job, but he never expected to become a news story himself. For a decade, the French American photojournalist had weaved in and out of over a dozen conflict zones. He photographed civilians being chased out of their homes, military trucks roving over bullet-torn battlefields, and too many bodies to count. But on April 29, 2013, during his third assignment to Syria, Alpeyrie was betrayed by his fixer and handed over to a band of Syrian rebels. For 81 days he was bound, blindfolded, and beaten. Not too far away, President Bashar al Assad’s forces and those in opposition continued their bitter and bloody civil war. Over the course of his captivity, Jonathan kept his spirits up and strived to see, without his camera lenses, the humanity in his captors. He took part in their activities, taught them how to swim, prayed with them, and tried learning their language and culture. He also discovered a dormant faith within himself, which strengthened him throughout the ordeal. Jonathan shares his amazing and inspirational story in his book, The Shattered Lens: A War Photographer’s True Story of Captivity and Survival in Syria. Admission is free and open to the public. *This event features images and discussions of war and torture. Join us for a powerful and inspirational evening with Rachael Denhollander as she discusses her personal strength to speak out and become a voice for hundreds of abused women. 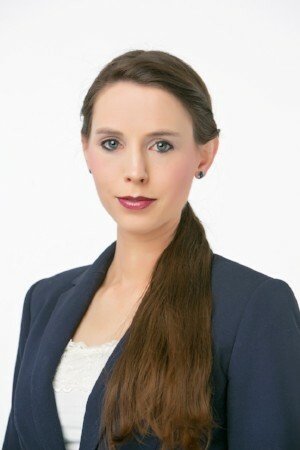 Rachael is an advocate and educator who was the first woman to file a police report and speak publicly against USA Gymnastics Dr. Larry Nassar. As a result of her activism, over 300 women came forward as survivors of Nassar’s abuse, leading to his life imprisonment. Rachael will share her journey from victimhood, to empowerment, and ultimately to forgiveness. The evening will also examine the links between Rachael’s experiences and Eva Kor’s as they discuss medical ethics and their paths to becoming international advocates for forgiveness. For her work as an advocate and educator on sexual assault, Rachael was named one of TIME Magazine’s 100 Most Influential People in the World in 2018, in addition to other awards and recognition for social justice. She has also been recognized and honored in both the Kentucky and Michigan legislatures for her advocacy. *This event recounts acts of sexual assault against a minor. 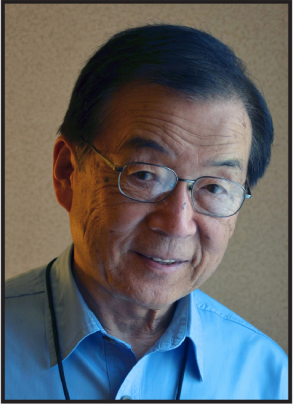 Sam Mihara is a second-generation Japanese American. During World War II, Sam was imprisoned with his family at Heart Mountain, Wyoming. He was just 9 years old and was one of 120,000 Japanese Americans forced into prison camps. Heart Mountain was one of 10 camps in the United States. This event is made possible in part by The Florence and Laurence Spungen Family Foundation and Indiana Humanities. 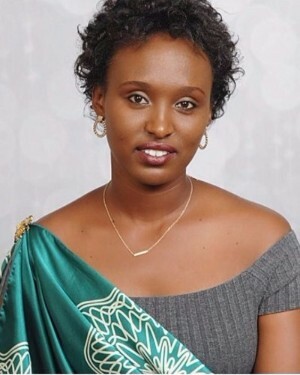 Frida is a survivor of the 1994 Rwanda Genocide against the Tutsis. She witnessed her family being massacred by Hutu men with machetes and was then asked how she wanted to die. She could not afford a bullet, which they offered to sell her, so instead she received what should have been a fatal blow to the head. She was put in a mass grave with her slaughtered family only to find herself still alive and conscious, and she eventually climbed out. Frida’s traumas will never be undone, but today she has an important message for the world. Frida will recount how her life was utterly transformed by the power to forgive and love her enemies. Despite great adversity, the message is one of immense hope and personal deliverance. *Frida’s story includes topics such as physical and sexual violence. We suggest the event to mature high school students and above. This event is made possible in part by The Florence and Laurence Spungen Family Foundation, The Herbert Simon Family Foundation, and Indiana Humanities with support from the National Endowment for the Humanities. Admission is free and open to the public. 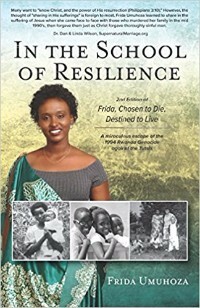 Frida’s book In the School of Resilience will be for sale at the event. CANDLES presents bestselling authors, and husband and wife duo, Gerald and Trisha Posner. In a joint appearance, the couple will discuss infamous Nazis Dr. Josef Mengele and SS Officer/ Bayer pharmacist Victor Capesius. Addressing more than just their inhumane and monstrous acts at Auschwitz, the Posners will examine Mengele’s and Capesius’ experiences after the war and the perpetrators’ subsequent life in hiding as war criminals. 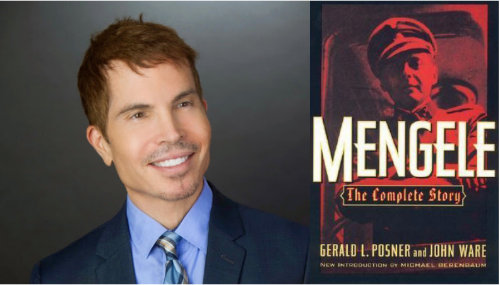 The Posners will discuss Mengele and Capesius in detail, comparing their stories and how they ended up working together at Auschwitz, as well as how they both became fugitives, one in plain sight and one on the run in South America. Gerald’s story focuses on a young physician from a privileged family whose enormous ambition was only satisfied by playing a sadistic God at Auschwitz. Trisha delivers an uplifting tale of how the perseverance of two men - a camp survivor and Germany’s first postwar Jewish prosecutor - led finally to some semblance of justice for Capesius. Suk-Young Kim is a professor in the UCLA School of Theater, Film, and Television and has published award-winning books, ranging in topics from theater and lm to human rights in North Korea. 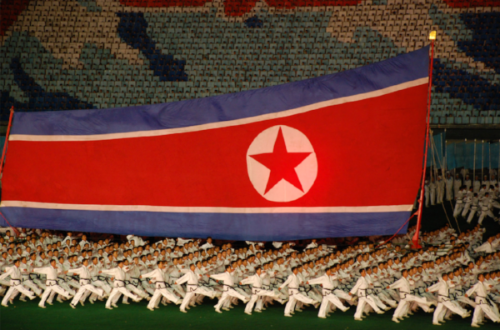 She will be addressing her book Long Road Home: Testimony of a North Korean Camp Survivor, as well as family and cultural dynamics in modern-day North Korea. This event is made possible in part by generous support from the Florence and Laurence Spungen Family Foundation and the Herbert Simon Family Foundation. 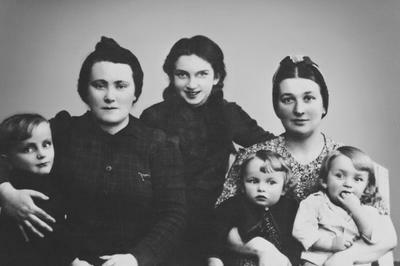 On her 17th birthday, Magda and her family were crammed into a box car and forced to endure an arduous journey to Auschwitz-Birkenau. After two months of torture, she was selected to be sent to a work camp. In March 1945, she and her group were forced to go on a death march to Buchenwald, but she and several prisoners managed to escape and hide in a barn where they were found by American soldiers. We welcome you to hear the story of the Holocaust through the eyes of a persevering teenager. Admission is free and open to the public. This event is made possible in part by generous support from the Florence and Laurence Spungen Family Foundation. Hayes most recent book "Why? 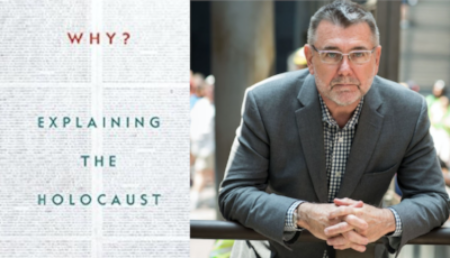 Explaining the Holocaust" dispels many misconceptions while answering some of the most frequent - yet vexing - questions that remain on the topic of the Holocaust. Admission is free and open to the public. Donations are welcomed. 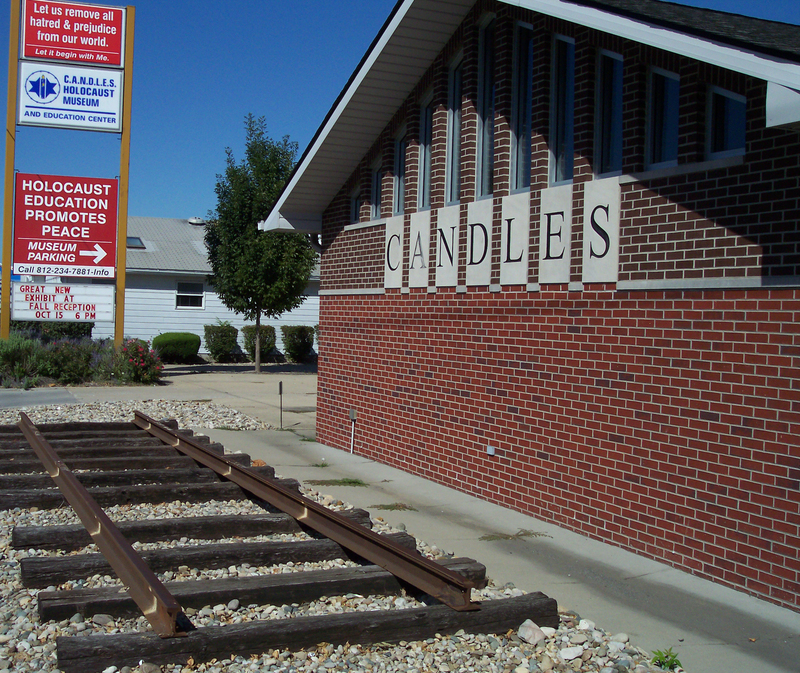 For more information on this and other events, please call 812.234.7881 or email programs@candlesholocaustmuseum.org. Noah Lederman, the grandson of Holocaust survivors, had always wanted to hear his grandparents' stories. The stories, however, gave their own children nightmares. Thus tales of the Warsaw Ghetto Uprising and of the concentration camps were off limits to the third generation. Noah Lederman will speak about how he finally gained access to his grandparents' memories before they disappeared forever. Selected as one of the best books of the year by the Philadelphia Inquirer, Lederman's stories will transport audiences from his grandparents' kitchen table in Brooklyn to World War II Poland. 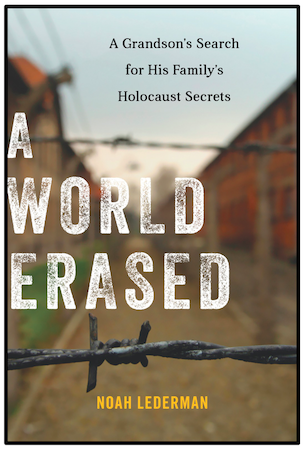 Booklist had called A World Erased "a vital contribution to Holocaust collections." Admission is free and open to the public. Donations are welcomed. For more information on this and other events, please call 812.234.7881. Jordan is a 24-year-old humanitarian from California. Two days after his high school graduation, Jordan began his humanitarian efforts in the world’s newest country, South Sudan. Working alongside Sudanese Lost Boy, Deng Jongkuch, Jordan helped to build a medical clinic in Malek, South Sudan. Next, Jordan’s college professor of Arabic introduced him to the atrocities occurring in her home country of Syria. Although Jordan did not know a single person in Syria, the testimonies by his professor drew him to care. As a result, he founded Help4Refugees in 2012 and traveled to Jordan to find out how he could help the Syrian refugees in the Zaatari Refugee Camp. 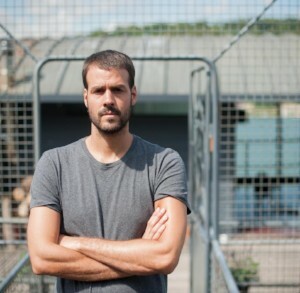 Since 2012, Jordan has been delivering prefabricated housing units, reporting as a freelance journalist, and helping others gain access to the camp. 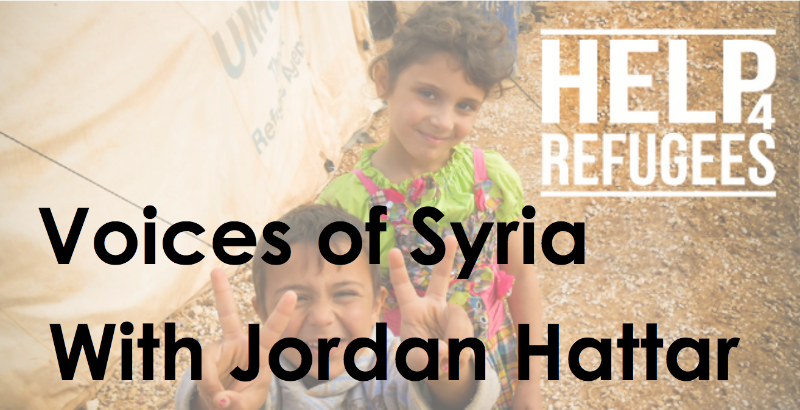 To learn more about Jordan’s humanitarian work, please go to Help4Refugees.org. Admission is free and open to the public. For more information on this and other museum events, please call 812.234.7881. This event is made possible in part by generous support from the Florence and Laurence Spungen Family Foundation. "Difficult Conversations: Teaching About Intolerance Past and Present"
Intolerance is a perennial topic in the classroom, in the media, and in civic life. A century of multiple genocides on multiple continents offers a bleak verdict; sometimes even current events can leave us despairing. What insights can the humanities and the social sciences bring to the table? How can historical examples and today’s headlines offer “teachable moments” in the classroom and community? Mary Johnson is a senior historian at Facing History and Ourselves, an international educational and professional development organization that engages the community in an examination of racism, prejudice, and antisemitism in order to promote the development of a more humane and informed citizenry. Admission is free and open to the public. These events are made possible in part by generous support from the Florence and Laurence Spungen Family Foundation. "Ida Kersz: Hidden Child During the Holocaust"
In 1942, Nazis stormed into Ida's hometown in Poland. Her mother fled to a nearby building and jumped to her death, leaving behind her 3-year-old twins, Adam and Ida. The two children led completely separate lives for five decades, until 1995, when Ida—who was now living in Illinois—saw a picture of her long-lost brother in a Jewish publication. He was living in Poland and had a different name, but Kersz immediately recognized some of his physical features and contacted him. Ida managed to bring him to Chicago that same year, then used childhood photos to convince U.S. immigration authorities that the man who had lived for so long as Jerzy Dolebski was in fact Adam Paluch, her brother. Admission is free and open to the public. This event is made possible in part by generous support of the Florence and Laurence Spungen Family Foundation. Henry Oster was a carefree kindergartner in Cologne, Germany, when Hitler and the Nazis seized power in 1933. For the next 12 years, Henry struggled to live while his family, his friends, and the Jews of Europe were overwhelmed by the Holocaust. Henry hid his mother from the SS in an attic in the Lodz, Poland Ghetto. He escaped a firing squad in Auschwitz and endured a death march through the Polish winter. He formed a life-long friendship in the nightmare barracks of the Buchenwald concentration camp. He saw his friends killed by a British fighter-bomber and came within hours of starving to death before his liberation by General Patton's 3rd Army. Henry rebuilt his life from nothing, arriving to the U.S. with no English, no money, and no education. And from the ashes of a ruined past he built a life full of love, joy, and compassion. Dr. James Waller is the Cohen Professor of Holocaust and Genocide Studies at Keene State College (NH), home to the Cohen Center for Holocaust and Genocide Studies, one of the nation’s oldest Holocaust resource centers. He is a widely-recognized scholar and lecturer in the field of Holocaust and genocide studies and has also worked extensively on programs related to intergroup relations and prejudice. 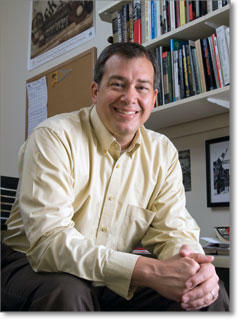 His latest book is titled Confronting Evil: Engaging Our Responsibility to Prevent Genocide. The Walter Sommers Lecture on Holocaust History is an annual program to honor CANDLES docent and supporter Walter Sommers for his untiring dedication to Holocaust education.